The term new economy has two sharply contrasting meanings. Let’s call them New Economy 1.0 and New Economy 2.0. In New Economy 1.0, money is the defining value and power resides in global financial markets. In New Economy 2.0, life is the defining value and power resides in people and communities of place. Investopedia defines New Economy as “a buzzword describing new, high-growth industries that are on the cutting edge of technology and are the driving force of economic growth.” This New Economy 1.0 envisions a globalized money-driven, perpetual-growth “High Tech Wonderland” of magical technologies and market forces that liberate humans from environmental constraints to economic growth. 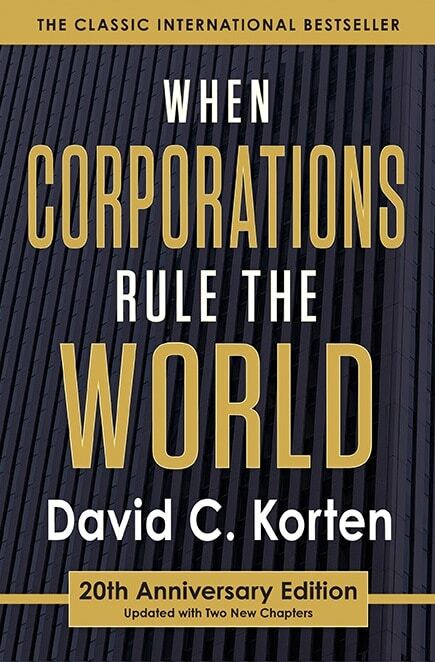 Global corporate monolith’s competing for monopoly control of resources, technology, and markets to make money for rich investors continue to be a defining feature. New Economy 1.0 simply puts a new face on the Old Economy of financial values and concentrated power that traces back at least to the founding of the British East India Company in 1600 and now threatens our national and species viability. 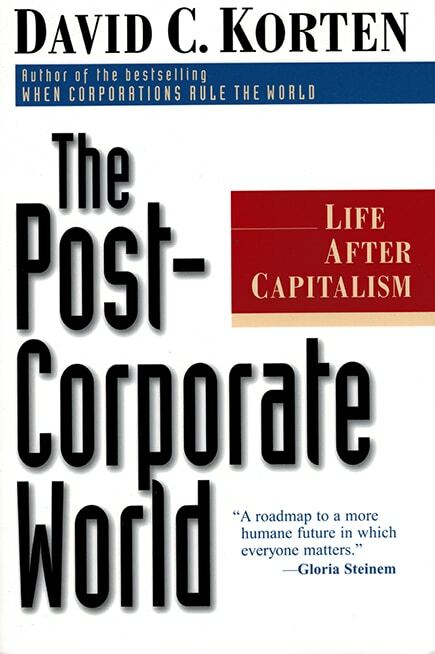 A 2001 Harvard University research paper by Jeff Madrick titled “The Business Media and the New Economy,” suggests that the term New Economy was a media creation and provides an exhaustive examination of the term’s varied meanings, which most commonly involve the twin pillars of technology and globalization. T he precise origin of the term is not clear, but the May 30, 1983 issue of Time magazine featured a cover story on “The New Economy” that highlighted the transition from predominantly national economies based on traditional manufacturing industries to a globalized economy based on information technologies and what it described as boundless opportunities in microelectronics, lasers, fiber optics and genetic engineering. New Economy 1.0 features a belief that magical technologies and global market forces will save us from our environmental follies and eliminate barriers to accelerated rates of economic growth in perpetuity. By the 1990s, the belief was widespread that the United States had achieved a transition to a new permanent steady high growth, low unemployment economy based on a combination of high tech industries and Wall Street financial innovation that was immune to boom and bust macroeconomic cycles. The financial crash of September 2008 dealt a serious blow to this fantasy. The New Economy magazine published in London, however, continues to emphasize the environmental dimension of the high tech fantasy and is full of stories of the gee-whiz green high tech growth economy it envisions. 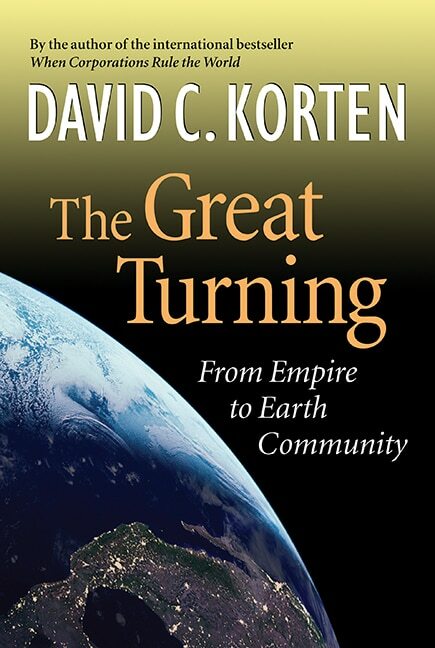 More recently, the term New Economy has become the term of choice of reality oriented citizen organizations that recognize the imperative to create New Economy that mimics the dynamics and structure of Earth’s biosphere and is based on values and assumptions that are consistent with our nature as living beings dependent on a larger web of life. There is an important place in the New Economy 2.0 vision for advanced technologies and for global sharing of ideas and technology. This is particularly true for energy and communications technologies that wean us from dependence on fossil fuels and support and collective decision making on a global scale. New Economy 2.0 does not, however, assume that technology will magically save us from our reckless abuse of one another and nature. Rather technology is a facilitator of the deep transformation of values and institutions required to achieve an economic system that meets the needs of all in sustainable, creative balance with Earth’s biosphere. YES! Magazine and the PCDForum have been at the forefront of defining and popularizing the term New Economy in its 2.0 meaning. 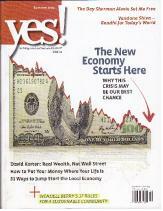 A May 2004 YES! article about worker ownership was titled “Argentine Workers Build New Economy.” It was used in this sense by David Korten an article in the Summer 2007 issue of YES! and in articles published Tikkun and YES! in the Fall of 2008 in response to the financial crash. The YES! article was titled “Beyond the Bailout: Agenda for a New Economy.” Simultaneously with the publication of the 2008 articles, the Institute for Policy Studies in DC, YES! Magazine, the Business Alliance for Local Living Economies, and the People-Centered Development Forum formed a partnership they called the New Economy Working Group (NEWGroup) . Co-chaired by John Cavanagh and David Korten with a mission is to frame and advance a practical vision of equitable economies for a living Earth. 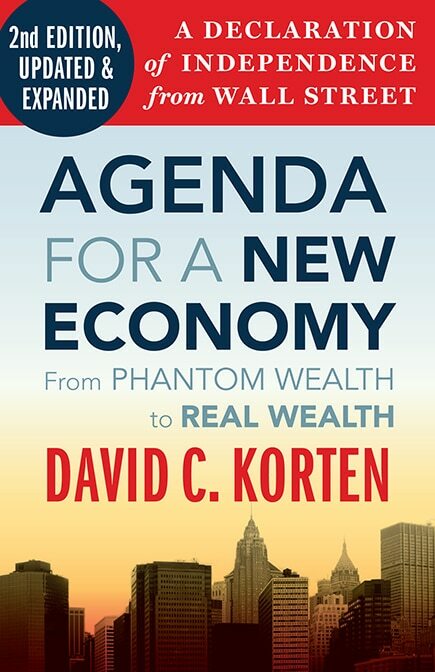 The first edition of Korten’s, Agenda for a New Economy: From Phantom Wealth to Real Wealth was published in January 2009. Formation of the U.S. based New Economy Network began shortly thereafter. YES! published a special issue on “The New Economy” in Summer 2009. In October 2009, the New Economics Foundation (NEF) in London published The Great Transition, mapping out the transition to a new economy. 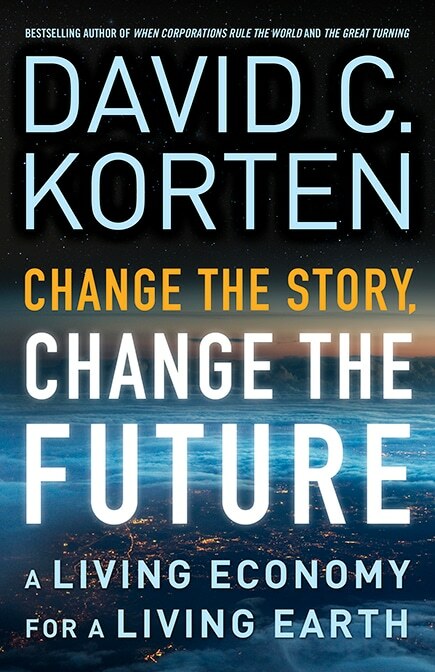 The 2nd edition of David Korten, Agenda for a New Economy was launched in June 2010 as a New Economy Working Group report. Recognition of the need for deep economic transformation among citizen organizations has much deeper historical roots. NEF is a longtime leader in advancing this recognition. It was founded in London in 1986 by leaders of The Other Economic Summit (TOES), who first met in London in 1984 as a counter to the G-7 Summit being held there. The work of NEF was also influential in shaping the original formation of the People-Centered Development Forum. New Economy is now a term of choice among progressive citizen groups working for an economy supportive of economic justice, environmental sustainability, peace, and democracy. 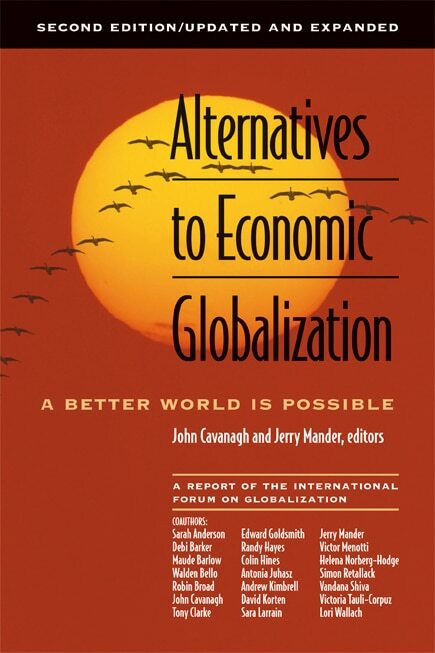 In 2010, NEF joined with the E. F. Schumacker Society to create the U.S. based New Economics Institute, which is now the New Economy Coalition, which brings together more than 180 organizations dedicated to actualizing a shared vision of an economy that is just, sustainable, and democratic. In this usage, the terms new economy, living Eearth economy, living economy, real-wealth economy, caring economy, cooperative economy, sharing economy, Main Street economy, next system economy, peace economy, and related labels for the just, sustainble, and predominantly cooperative economy we must now create are, with minor variations in emphasis, largely interchangeable.